Marshal Brennan (Douglas Fowley) lies dying at the outset of this compact western. Fleeing from a posse, an unnamed gunslinger (Jim Davis) stumbles across Brennan's body. 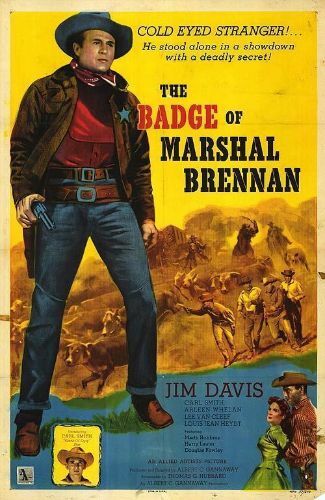 Lifting the marshal's badge, he poses as Brennan in a small cattle town. Before long, the impostor is taking his job seriously, standing up to crooked cattle baron Colonel Donaphan (Louis Jean-Heydt) and the Colonel's psychotic son Shad (Lee Van Cleef). His redemption is complete when the false Brennan finds romantic happiness in the form of a female restaurant owner known as Murdock (Arleen Whelan).